The use of magnetic resonance imaging (MRI) with diffusion-based strategies (dMRI) may be helpful for understanding neuronal connectivity, mainly via estimation and direct examination of specific water patterns into living tissue. Under MRI, such as with the Bruker MRI systems, investigators will observe isotropic movement of water diffusion if no present movement restrictions exist. If those barriers are present, displacement of water occurs alongside open spaces (anisotropic diffusion). In this scenario, any dMRI images produced will provide insight into the neuronal state. In addition to dMRI, standard MRI is a non-invasive method for assessing neuronal pathways, particularly those involved in neurodegenerative diseases (eg, Parkinson’s disease and Alzheimer’s disease). Although dMRI can be useful in some circumstances, the technique can be considered time-consuming and presents the risk for poor imaging quality if scanning time is minimized. For this reason, many clinics do not use dMRI for imaging analysis of patients with neurodegenerative diseases. Currently, dMRI is used primarily as a diagnostic tool for stroke, with the entire head volume scanned a total of 3 times in addition to covering the orthogonal axes to obtain a reference signal necessary for diffusion computation. If used in the clinic for other applications, operators are required to use a high angular resolution, such as one used in diffusion tensor imaging, in dMRI. A paper from Yepes-Calderon et al developed a strategy to help improve the quality of dMRI datasets, with the hope that the findings could enable greater clinical utilization of dMRI. Their method was developed and tested on diffusion phantoms. The researchers’ main hypothesis regarding diffusion tensor imaging was that diffusion assessment provides greater cost and time savings “if an averaging is done in the tensor space rather than in the Diffusion Weighted Imaging (DWI) domain”.8 In summary, the study performed by the investigators demonstrated the feasibility for improving the quality of brain imaging, particularly in small animal models. During this study, investigators utilized the 9.4 Tesla Bruker BioSpin MRI for imaging of their mouse model. According to the study protocol, researchers set diffusion parameters in 6 gradient directions in addition to 1 non-sensitizer reference image. The investigators suggest that the image quality of the Bruker’s MRI system may be better than that of other platforms, particularly when the operator has time to obtain these images. Following brain imaging of the small animal models, the investigators found that the brain’s diffusion strategies are clinically meaningful if extracted structures are in line with neuronal trending that had been previously estimated via post-mortem histology samples. Additionally, the investigators observed that tractography may be an important mechanism for understanding structures formed by neuronal connectivity, with dMRI demonstrating the most useful imaging methods for the researchers’ purposes. In addition, the researchers suggest their tensor fractional anistropy-based rotation method in n-separated acquisitions in a total of m minutes might improve imaging quality compared with just 1 acquisition in the same number of m-minutes. The study provides a novel post-scanning strategy which may make inter-acquisition time “a valued asset for image enhancing purposes” in preclinical study as well as live clinics. Additionally, the investigators found that the time spent in dMRI can be used more efficiently in the tensor domain rather than the diffusion weighted imaging space. The MRI platforms offered by Bruker BioSpin are well-suited for MRI research at the preclinical and molecular levels, particularly when that research involves small animal models. One of the benefits of Bruker’s MRI platform is its high spatial image resolution of living organisms. This feature is mainly derived from the combination of CryoProbe technology and the most recent rf coil in addition to a high-field superconducting magnet. 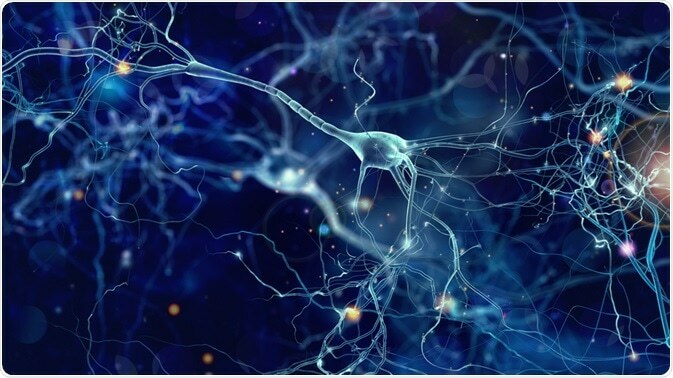 By using Bruker’s MRI technology, researchers can be used in many life science, preclinical, and biomedical applications to ascertain the molecular and cellular underpinnings of disease or biological systems. Le Bihan D, Mangin JF, Poupon C, et al. Diffusion tensor imaging: concepts and applications. J Magn Reson Imaging. 2001;13(4):534-546. Schaefer PW, Grant PE, Gonzalez RG. Diffusion-weighted MR imaging of the brain. Radiology. 2000;217(2):331-345. Puligheddu M, Laccu I, Gioi G, et al. Diffusion tensor imaging tractography and MRI perfusion in post traumatic brain injury hypersomnia. Sleep Med. 2017;34:96-98. Wu D, Zhang J. In vivo mapping of macroscopic neuronal projections in the mouse hippocampus using high-resolution diffusion MRI. Neuroimage. 2016;125:84-93. Hall JM, Ehgoetz Martens KA, Walton CC, et al. Diffusion alterations associated with Parkinson's disease symptomatology: A review of the literature. Parkinsonism Relat Disord. 2016;33:12-26. Kunimatsu A, Aoki S, Masutani Y, et al. Three-dimensional white matter tractography by diffusion tensor imaging in ischaemic stroke involving the corticospinal tract. Neuroradiology. 2003;45(8):532-535. Yao Y, Zhang S, Tang X, et al. Intravoxel incoherent motion diffusion-weighted imaging in stroke patients: initial clinical experience. Clin Radiol. 2016;71(9):938.e11-e16.